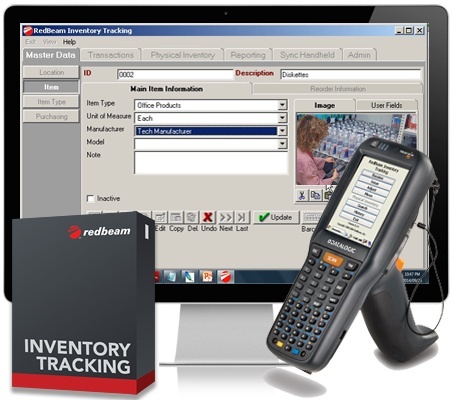 The mobile edition of this powerful inventory control software is a complete item database with the ability to use cabled barcode scanners attached to PC workstations as well as the ability to control inventory using scanner-enabled mobile computers. RedBeam's inventory control software includes unlimited mobile computer licenses for compatible mobile computer models. Control inventory through receive, move, issue, or adjust transactions and take physical inventories using the mobile barcode scanner. The mobile scanner gives you the ability to control inventory where it's located rather than at one central scanning station. Run inventory, reorder, out-of-stock, overstock and transaction reports.